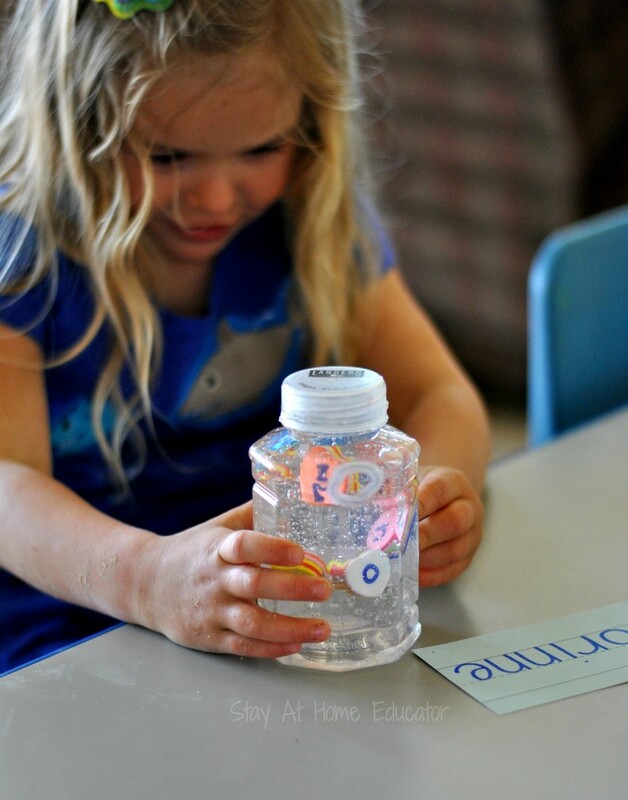 Discovery bottles are a fun way to incorporate a little extra learning into preschool education. 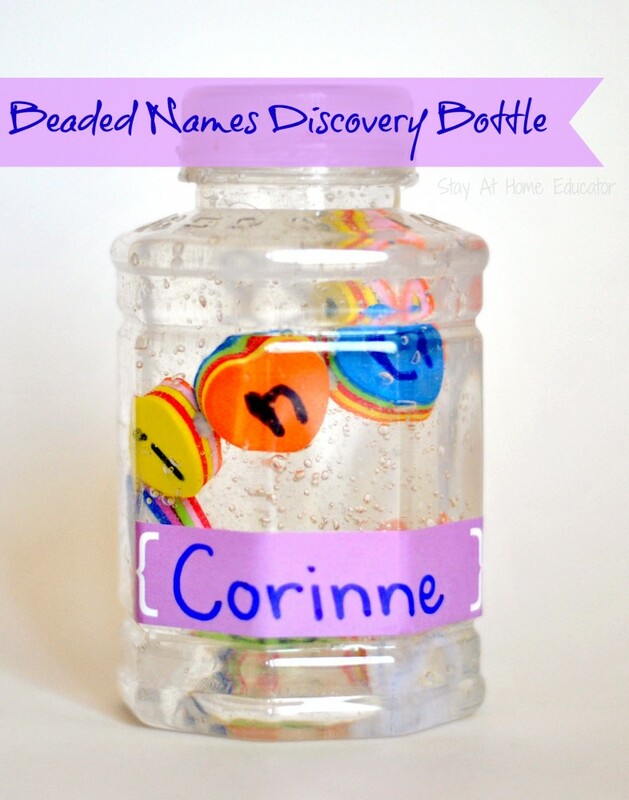 Today I’m sharing how we made a discovery bottle that also was a name recognition and name spelling activity. 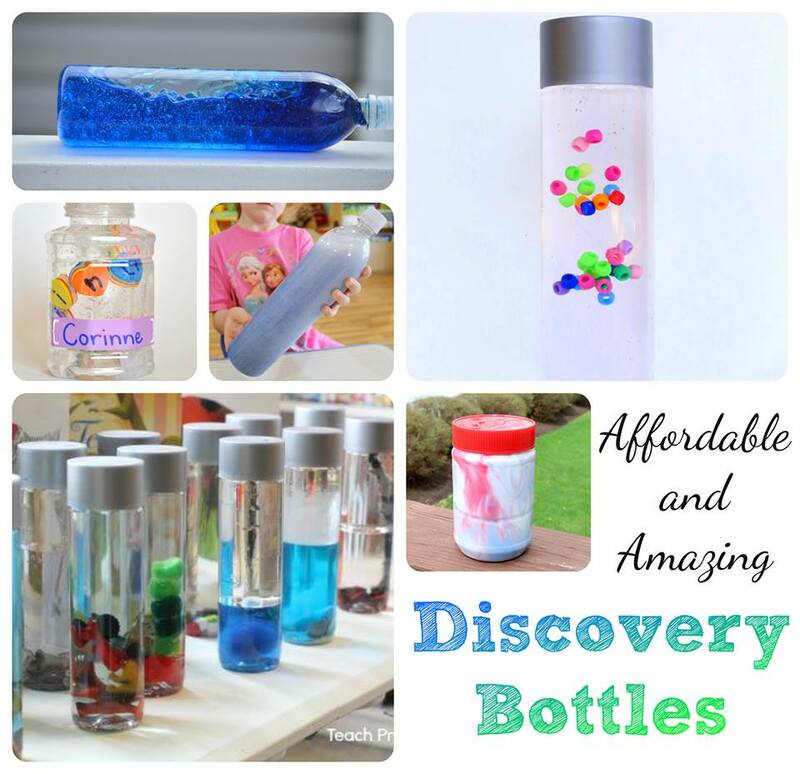 I’m also pairing up with some other bloggers to bring you some awesome ideas on how to make some very affordable discovery bottles. 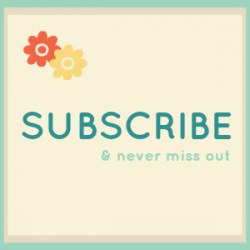 Be sure to read to the end of the post so you can get the links to those other super creative discovery bottle ideas. I have to admit, I wasn’t sure that my idea for this discovery bottle would even work. 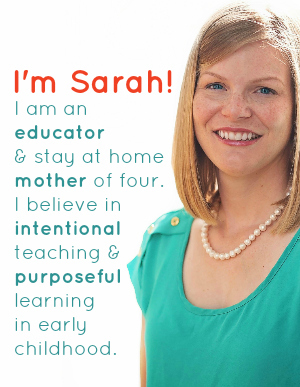 I wanted to have my preschoolers make their own discovery bottles with their names inside as a name recognition and spelling activity, but I just didn’t know if the execution would go as smoothly as I was imagining in my head. Enter Corinne. She was my guinea pig and helped me out by trying a beaded name discovery bottle before I presented the activity to my preschoolers. plastic bottle (Since I wanted my preschoolers to be able to take these home, I used Langers bottles from frozen juice concentrate). letter beads (I used foam beads from the dollar store, but any of the following would have been beautiful as well). 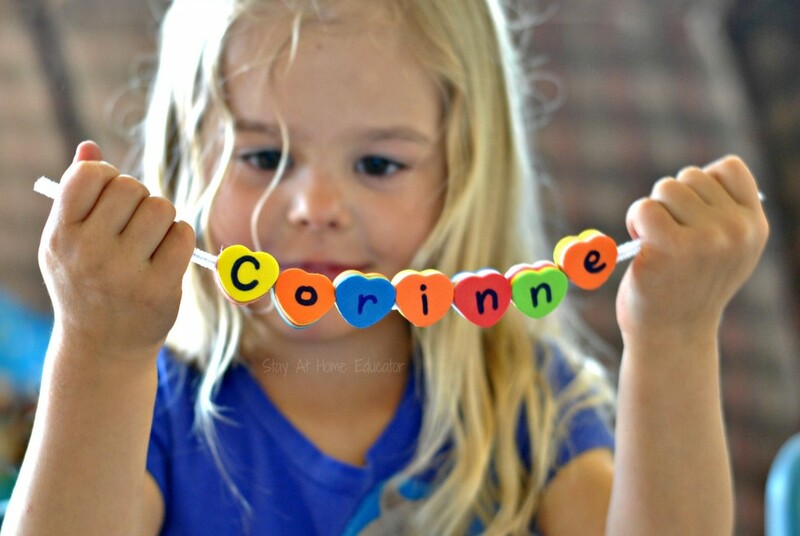 I began by giving Corinne a tag with her name clearly spelled on it, as well as the beads she would need to make her name. Since I used foam beads from the dollar store, I had to write letters on each bead. For an older child, they can pick the correct letters out of a pile of beads, but for my preschoolers I decided that giving each student a set with their own name letters would be challenge enough. 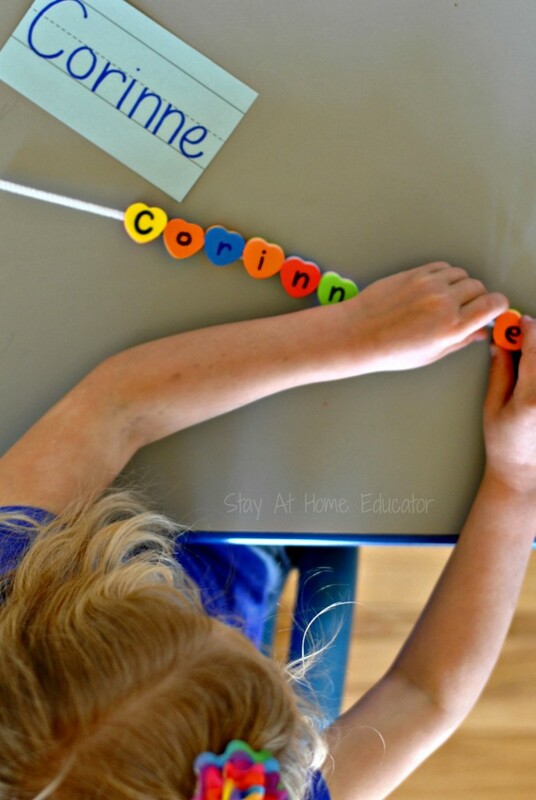 I invited Corinne to use the name tag to thread the beads onto the pipe cleaner to spell her name. This photo shows the second time she threaded her name. The first time, she forgot the “i” and had to pull the beads off and start again. While it did not phase Corinne, for some preschoolers it may be a challenge to bead from only one side. If the preschooler beads from the left, then they have to spell with name backwards. If they bead from the right, they can spell it normally. Corinne naturally began beading from the right. Once the names are beaded, turn the pipe cleaner and beads over to write the name on the opposite side, if you are making your own letter beads like I did. This part I found to be a little difficult. First you want to make sure that the beaded names are securely fastened by the pipe cleaner, and since one of our beads came off after the bottle was assembled and glued shut, I would recommend adding some hot glue to the beginning and end of the names to keep the beads in place. Fill your bottle about 3/4 the way full with hair gel. This will keep the beads from floating to the top of the bottle so easily. 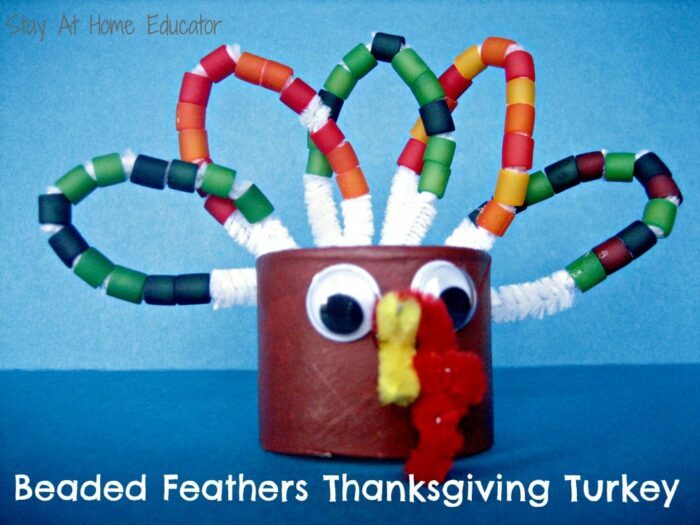 (If you don’t want them to float at all, then you can simply add a dab of hot glue to the end of the pipe cleaner and glue the end to the bottom of the bottle.) Fill the rest with water, up to about 1/2 to the lip. Close and shake to mix. 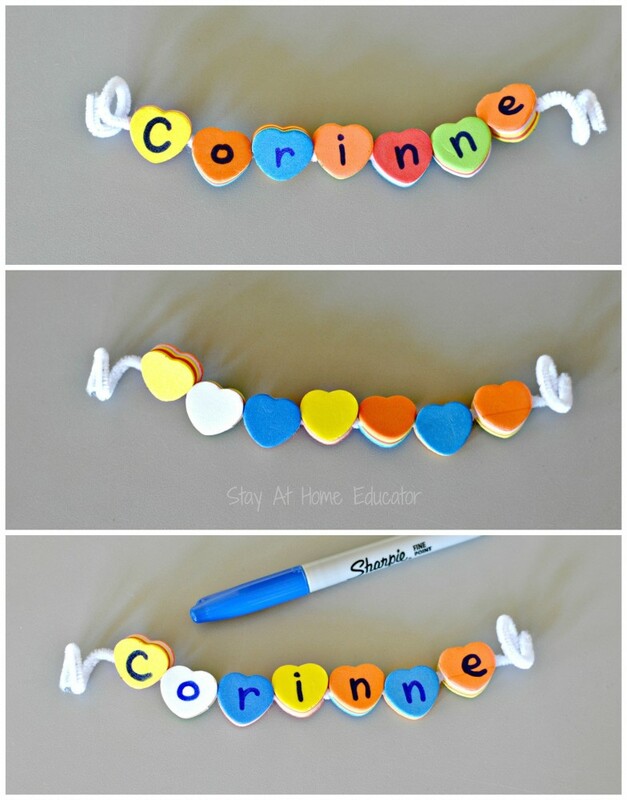 If your child has a long name, like Corinne’s (seven letters), then you will have to spiral the name to make it fit into the bottle. Gently and carefully put the name into the bottle. Corinne’s name ended up spiraling around all the way to the top. Lastly, glue the lid shut with hot glue. Add a label sticker with the name on it and invite your child to come and play. Corinne quickly began looking for each letter in her name within the bottle. It has been a week and I frequently find Corinne spelling her name by following the letter beads in her discovery bottle. Without a doubt, I think this will do will in preschool. Don’t forget to check out all the following discovery bottle ideas. 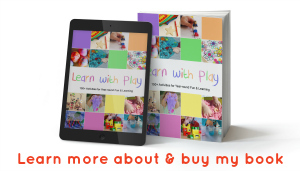 They are all very affordable and full of learning! A great idea for name work! I just love this! Discovery bottles and name recognition = AWESOME idea!!! What a great idea! We can never get enough practice with our names. These bottles are perfect.